What can you do in the Marennes Basin? Oyster tasting, obviously, but also visits to many cultural sites, trips around the huge marshlands and much more besides! The Marennes Basin began to develop its oyster farming industry in the 19th century. Previously a pioneer of the salt trade, production there gradually declined. In response, the inhabitants turned to oyster farming and slowly transformed the salt marshes into an oyster farming hotspot. Today, the Marennes-Oléron Basin is the biggest oyster farming centre in Europe, producing between 40,000 and 60,000 tons per year. The produce is transported through the Port of Cayenne, the nerve centre for this precious seafood. To get there, travel the 4km Cayenne channel. 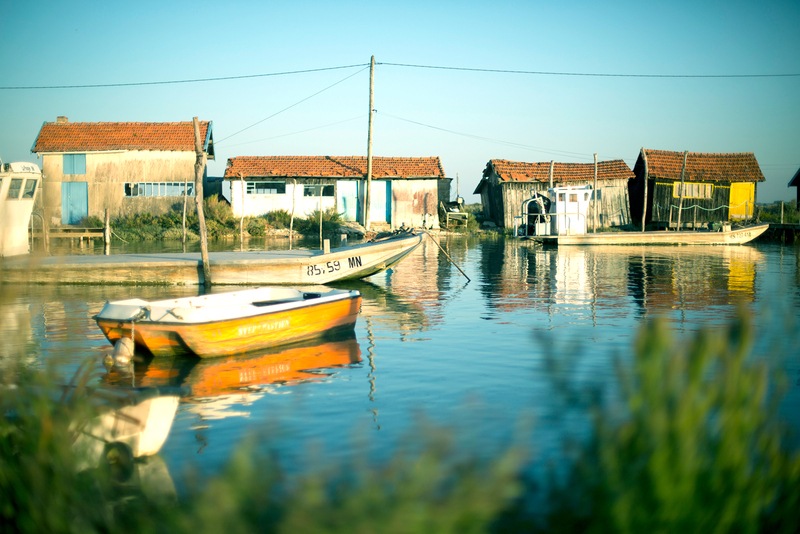 You’ll enjoy views of the charming multi-coloured oyster huts in Marennes and the oyster beds in the old salt marshes. Don’t miss: Cité de l’Huître (located 2.5km from the channel entrance), a centre offering tours right to the heart of the oyster farming world. A guide will help you discover all aspects of the oyster industry, telling you about the job of an oyster farmer and the history of their work, as well as the many different characteristics of this surprising creature. Continuing along the trail, you’ll find lots of restaurants and shops offering quality oysters for you to enjoy. You can even buy their oysters and crustaceans to enjoy while there or to take away. You’ll notice that the oysters farmed in Marennes-Oléron have a unique green hue, owing to the presence of microscopic algae called Navicula ostrea. Being farmed in oyster beds, where fresh water mixes with salt water, gives them their delicate, refined aromas. Because of this, they’re the only oysters in France to have received a Label Rouge quality award. When you reach the end of the channel, admire the pretty view of the bridge over the River Seudre and the dance of the oyster barges and small boats. One of the town’s historical gems, Fort Louvois in Bourcefranc-Le-Chapus is definitely a must-see. 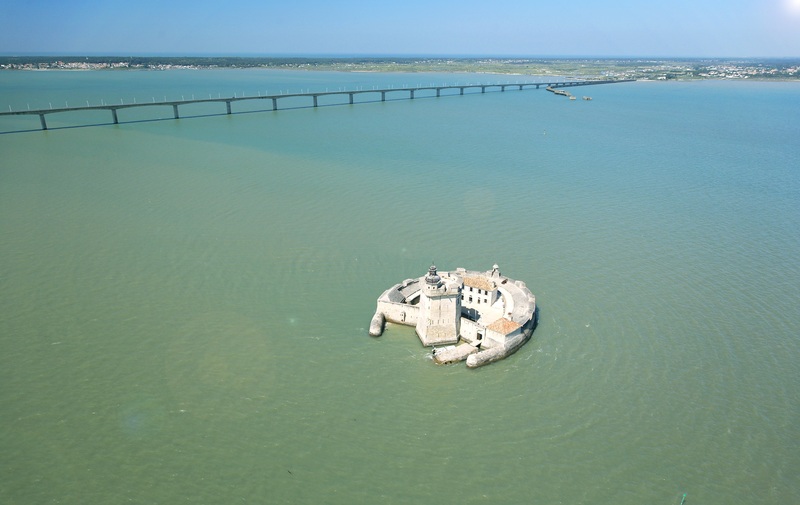 Built on a rock in the 17th century, this horseshoe-shaped fort guarded the Charentais coast from the enemy. Its central keep, protected by a drawbridge, is evocative of the fortified castles of the Middle Ages. Today it is accessible by boat at high tide, or for a great experience, by foot via a paved 400m path that appears at low tide. If you visit between July and August, go for the guided tour. You’ll explore the six rooms one by one, the keep, the barracks, the gunpowder magazine, the guardroom and other mysteries that will take you right to the heart of its military and maritime history. Don’t hesitate to climb to the top of the tower to admire panoramic views of the Oléron strait, and sometimes even La Rochelle. Continue on this historic trail by heading to the centre of Marennes and the Saint-Pierre-de-Sales Church. Its acoustics and grand nave are impressive and it’s particularly popular because of its gothic tower, standing 85 metres tall. Prepare to work hard when you visit it – there are a huge 300 steps to climb! But it’s well worth it. From the top, you’ll be treated to a panoramic view of the oyster basin and the Seudre marshlands. Model lovers should check out the Second Empire frigate kept in the Church. The ship is armed with 44 cannons, split into two sets, one to the starboard side and the other to the port side. Experts will recognise the two white bands on the front of the boat, typical of ships from this period. Covering 10,000 hectares around Marennes, Saint-Just-Luzac, Saint-Sornin and Le Gua, the Seudre marshlands are one of France’s biggest wetlands. They’re home to a huge wealth of flora and fauna. Part of the Natura 2000 network, these marshlands have been shaped by humans and are a landmark for many migratory birds, as well as being an ideal setting for nature lovers and bucolic hikes. Night time tours are available for the curious, letting you discover the life of the marshlands after nightfall. You’ll admire the phosphorescent light on the surface of the oyster beds to the soundtrack of water lapping in the nearby channel. The association that runs the tours also offers poetry sessions. The tour concludes with a tasting of some flavours of the local terroir and a torch-lit stroll back to the sound of bagpipes. Lovers of authenticity will also appreciate the Moulin des Loges mill. Built in the 12th century, it bears witness to the regional customs of yesteryear. Abandoned, plundered and then restored in the 2000s, the Moulin des Loges is today one of Europe’s last tide mills. It works thanks to the phenomenon of the tides and is activated by the sea’s movements to produce flour. 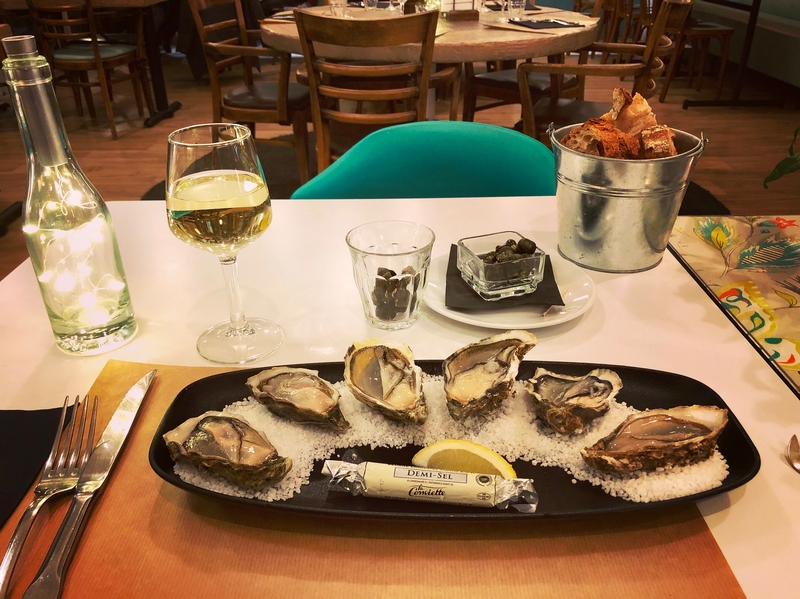 As well as oyster tasting in Marennes, there is a wealth of activities, all of them authentic and all of them offering an insight into the area. So pull on your walking boots and keep exploring the fantastic Marennais heritage!